Original Thread: I Hope I Don't Get Bitten, Let's Play Mike Tyson's Punch-Out!! Note: No Rocky quotes we're made during the making of this LP. 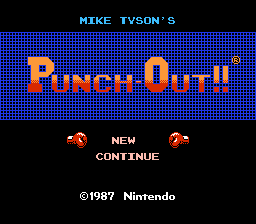 Well, Mike Tyson's Punch-Out!! 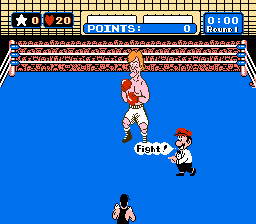 is a game for the NES where you play as a young boxer named Little Mac who fights his way up the ranks, but most of Little Mac's opponents in this game are way out of his weight class. This was made back in 1987 and it was suppose to be a port of an arcade version of the game also made by Nintendo. However, because the NES could not support the same graphics as the arcade version they simplified the graphics so that the NES would be able support them. I'm going to try to update at least once a week, so check back to see if I've added the next session, and please feel free to tell me you opinions; this is my first LP and I want it to be a good one. Also, once I get to the later opponents I may try to have guest commentators, we'll see what happens. Oh and I will be doing Super Punch-Out!! next but I need to practice it a bit before doing that one.